Dubai’s own restaurant on wheels! 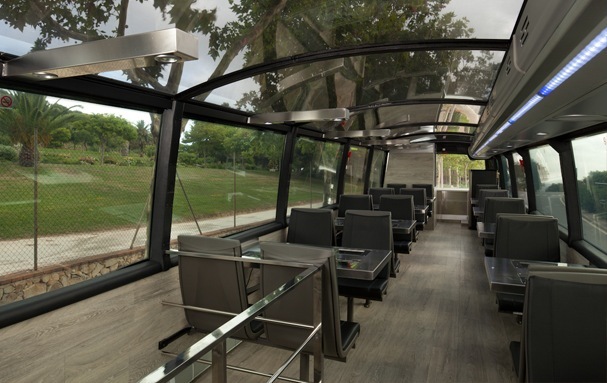 Visitors to Dubai can enjoy a gourmet five-course dinner right inside the tour bus that takes them around the city. 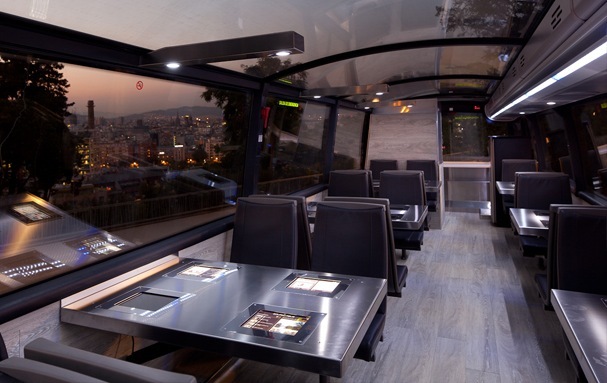 The $2 million Gourmet Bus was specially built in Spain, where the first bus of its kind was launched a few years ago. Dubai’s own restaurant on wheels is scheduled to start operations by the end of May with one service a day. 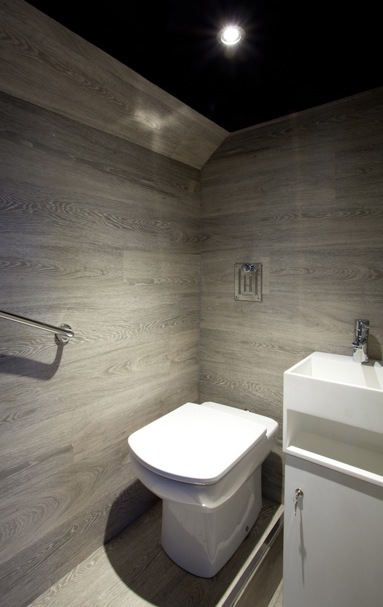 The tour bus will currently operate one trip per day with pick up starting at the Dubai Mall entrance and the two and half hour tour ending at Madinat Jumeirah. 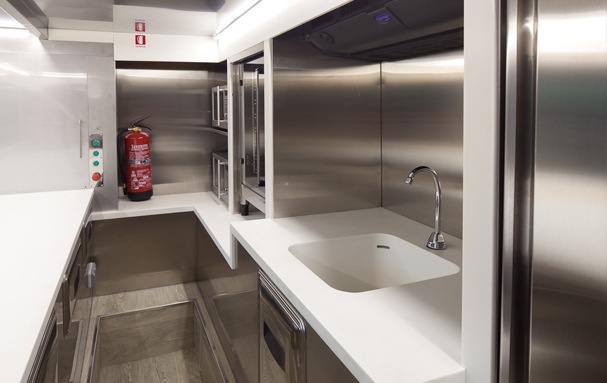 The specially-designed coach is equipped with a mini kitchen, a small elevator that can move the food to the upper deck of the vehicle. 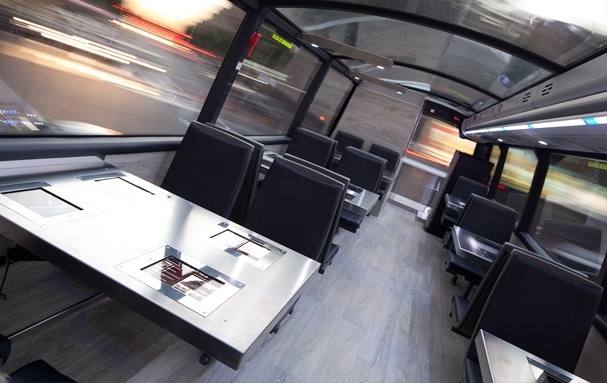 “It’s a restaurant on wheels but modelled on the basis of a big bus complete with a tour guide audio commentary,” says Wissam Shaiban General Manager of GourmetBus. 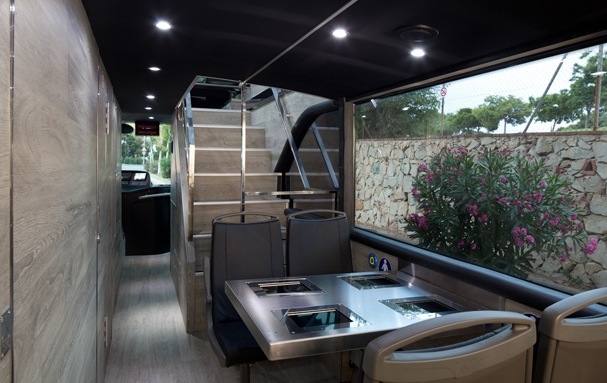 The luxury coach has a seating capacity of more than 40 passengers and every seat has an inbuilt iPad on the dining table. Information on the tour in 11 languages and will have access to images from the coach’s cameras, as well as other forms of entertainment. The coach is equipped with front and rear cameras providing images of the route in both cameras. “Currently we only plan to operate once a day. Soon the schedule will expanded,” says Shaiban. However getting on the bus will cost you almost Dh400 to Dh450. That would obviously include a five course meal. Food will however not be served when the coach is on the move. “After the tour is complete we will stop probably besides a location overlooking the sea and the sunset and will be serving food for our guests,” he adds. Pumpkin Spice Latte – Now In India!